Find out if these are the AMD B450 motherboards to pair with your 2nd Gen Ryzen processor! 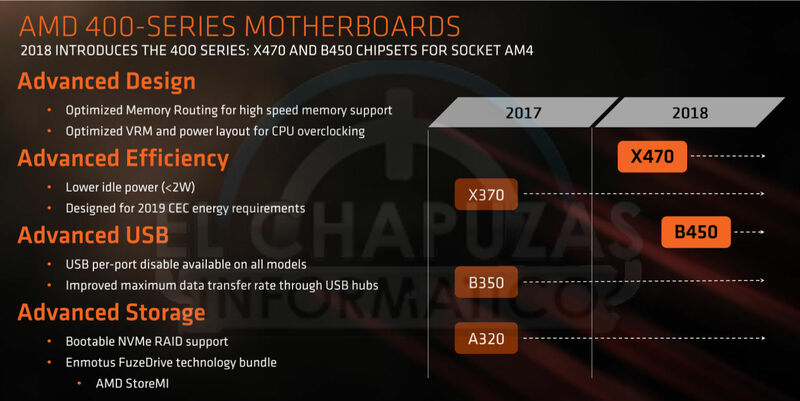 The GIGABYTE B450 AORUS PRO WIFI motherboard is based on the upcoming AMD B450 chipset slated to launch in July 2018. The AMD B450 motherboard is an improved version of the B350 chipset, featuring better memory routing and optimised VRM and power layouts, delivering lower idle power. It will also come with AMD StoreMI – a free OEM licensed copy of Enmotus FuzeDrive Basic. The MSI B450 Tomahawk is a bit more expensive at $150 / €128 / RM 600. It has 26% larger heatsinks, that MSI claims will reduce temperature by 10 °C. It comes with a USB-C port, three PCI Express x1 slots, and DVI and HDMI ports (for use with Ryzen desktop APUs). The.MSI B450A-Pro is cheaper at $100 / €85 / RM 400, but lacks an I/O cover and a USB-C port. It comes with four PCI Express x1 slots, and VGA, DVI and HDMI ports (for use with Ryzen desktop APUs). So what do YOU think? Are these MSI B450 motherboards a good fit for your 2nd Gen Ryzen processor, or do you prefer the GIGABYTE B450 AORUS PRO WiFi? 2nd Gen Ryzen @ Ryzen 2 – Everything You Need To Know! AMD Computex 2018 – Threadripper 2, 7nm Vega + More! The AMD Raven Ridge Desktop APUs – Everything You Need To Know! Next : Honor 7S Is A FullView Smartphone For The Masses!